U-KISS put their fans in a frenzy after performing at the “Kings of Freedom Concert” in Singapore on the night of November 19th. The boys performed their latest track, “Shut Up!“, along with “Man Man Ha Ni,” “Bingeul Bingeul,” and others. 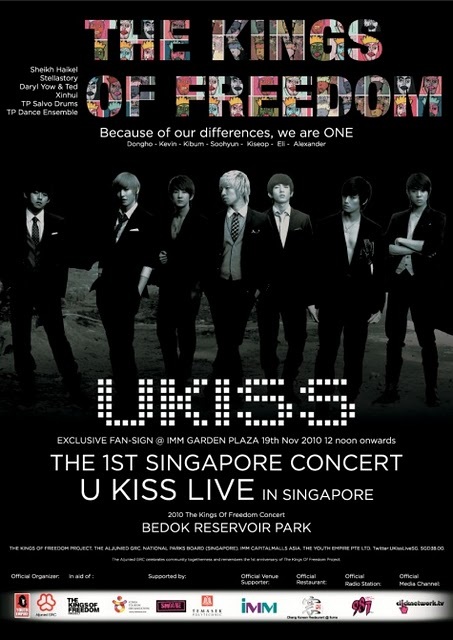 The freedom concert is one of Singapore’s representative music festivals, and U-KISS was invited as one of the only foreign musicians. Over 5,000 people gathered for the concert. Idol group U-KISS will be driving their Singaporean fans wild! The group departed from Korea on November 19th in order to attend “The Kings of Freedom Concert” in Singapore. The concert is a community-outreach effort, sponsored by the Youth Empire, to promote harmony within the multi-cultural community. The event will begin at 8PM at Bedok Reservoir Park. 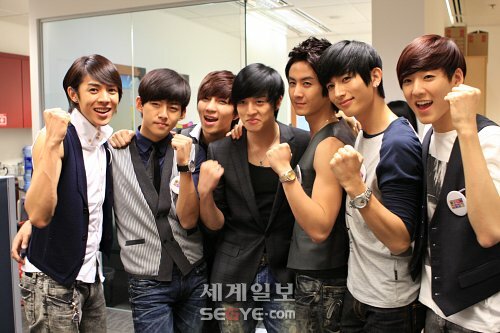 With many top Singaporean celebrities in attendance, U-KISS is the only international artist to be invited. The group recently took #1 on a popularity poll for international artists in Singapore, and was even extended a special invite by Singapore’s Foreign Minister, George Yeo.